EVE Evolved: Could achievements save EVE’s new player experience? EVE Online has always been a very long-term game, with players setting goals that often take months to achieve and forming friendships over the course of years. This poses a real problem for new players, most of whom find the game slow and don’t stick with it long enough to become part of the community. People often hear about some awesome battle or read an interesting article on EVE and finally decide to give it a shot, only to discover that it plays very differently to other MMOs and doesn’t give them any direction. Even players who have been around for years will often admit that it took them two or three trial attempts to finally get into in the game and finding their place in the community. Faced with this problem, CCP has tried to revamp the new player experience several times over the years with limited success. After the recent announcement that CCP will be letting players buy and sell skillpoints on the open market, I got into a debate with some friends on whether skillpoints represent a real barrier to new players and what CCP could potentially do about it. Practically everything you want to do in the game is locked behind a skillpoint barrier, and that’s assuming you can figure out what you want to do. 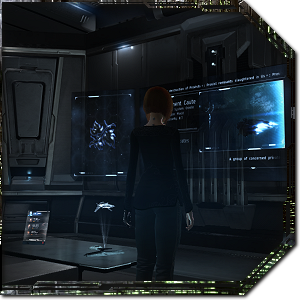 There are career agents to introduce players to the various parts of the game if you know where to find them, but the majority of the new player experience occurs through an Opportunities system that guides the player through a series of achievement-like popups. I’ve begun to wonder whether these systems could be modified to produce something better: A Life Goals achievement system that rewards players with skillpoints for hitting major milestones. In this edition of EVE Evolved, I pitch an idea for a change to the new player experience that would help players invest in their characters and encourage them to settle in the community long-term. As I debated the relative merits of the recently announced skillpoint trading system and whether it would actually help new players, Massively OP’s Tina Lauro asked a question that made me think: Why doesn’t EVE have a personal story to guide the player? Tina writes the Guild Wars 2 column here at Massively OP, and pointed out that GW2’s personal story plays an integral part in its new player experience. It’s the mechanism that is used to first introduce the player to the game, and in my experience it provides a long-term goal immediately as the player can only complete a new chapter in the story every 10 levels. While a personal story wouldn’t work in a sandbox game like EVE directly, Guild Wars 2’s story and achievement systems form a two-pronged approach to hooking players and making them stick. They set natural goals for the player and make players feel accomplished and invested in their characters, all things that help with the new player experience and that EVE could do a hell of a lot better. Obviously EVE doesn’t have levels or an instanced PvE storyline, but it should be possible to create personal goal and achievement systems that fit the open-world sandbox gameplay and narrative without stepping on the existing game. The ideal system would give the minimum direction necessary, simply illuminating the options available to players and rewarding them for pursuing particular paths. The Opportunities system does part of this by popping up on the screen whenever something new presents itself and letting players know what options they have in that situation, but it only really helps for minute-to-minute gameplay such as destroying a ship or setting an autopilot course. There are some Opportunities for things like joining a player corporation, but without rewards these are little more than achievement notifications. What we really need is a system that shows the player his various gameplay options on the grander career-level scale and that actually rewards him for committing to playing in the way he wants. How could the personal story begin? 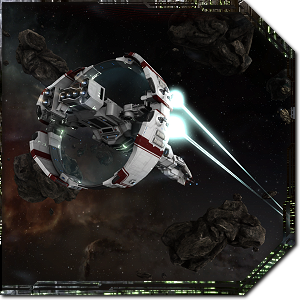 All new capsuleers in EVE start life as mortals and are sponsored by family, a corporation or the military to join the capsuleer ranks. Those who are found to be compatible with cloning technology and who make it through a grueling training programme eventually graduate and are killed so that their minds can be uploaded into a pod-ready clone. We could start each character’s personal story here, with the player about to graduate to capsuleer status and a short personalised introduction based on our selected lineage, background and sponsoring corporation. This would be page one of your personal story journal and an ideal way to visually show the player that their character is safe and respawns on death. The visuals for this gruesome “graduation ceremony” have already been featured in the EVE Origins trailer below, so why not put them in-game? It would also help lead into the career agents who show you the various types of gameplay available, as these could be repurposed into “post-graduate courses” that are sold to new graduates. 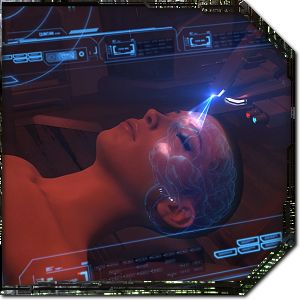 Selling the courses for a small amount of ISK and making the completion of just one course a personal story goal would eliminate the reward conflict developers want to remove from EVE‘s new player experience and turn career agents into just another stage of character creation and development. Marketeer: Making your first 100 million ISK in market sales. Corp Marketeer: Making your first 50 million ISK in market sales at your corp or alliance’s citadel. Solo Kills: Getting your first solo kill in PvP worth over 50 million ISK. PvP Kills: Killing 100 ships worth at least 10 million ISK. Corp PvP Kills: Killing 50 ships worth at least 10 million ISK with at least 3 corpmates on the killmail. Manufacturing: Building your first 100 million ISK’s worth of items. Ship Collection: Boarding your first tech 2 cruiser. Skill Landmarks: Reaching 10 million skill points. Joining a player corporation, or being in a player corp for 30 days. Reaching a goal would reward you with of a number of skillpoints injected into your character to be spent on any skill you want, making it worth your while to aim for them. Drawing another idea from Guild Wars 2’s achievement system, each of the life goals could also have multiple levels, so once you kill 100 ships, the goal turns into 250 kills. Each goal could be recorded in a journal so we can look back on our progress, and we could even select a goal to track and get notifications when we make progress toward it. This would help to scratch that active progression itch EVE has always had trouble with, and should help with early player retention by directing players better without holding their hands. If this were introduced today, it would lead to players grinding at things they don’t like in order to get skillpoints or even abusing the system by blowing up their own ships. However, those problems disappear as soon as skill point trading is introduced. Suddenly skillpoints have an equivalent market value in ISK, so the rewards for each life goal can be carefully selected to always be significantly less efficient than buying the skillpoints directly. For example, the cumulative market sales tax from making 100m of sales on the market is about 1 million ISK so the reward should be less than 1 million ISK’s worth of skillpoints. Similarly, killing 100 ships worth 10 million ISK each means at least 1 billion ISK worth of ships destroyed, so we can safely set the reward at less than 5% of this to prevent abuse. This system also has the huge advantage of establishing a rough difficulty-to-skillpoint ratio that the devs could then violate selectively to incentivise specific goals. It’s pretty damn easy to join a player corporation, for example, but we know that it’s key to getting players to stick with EVE in the long term so the reward could be relatively high. Getting kills with your corp could give higher rewards than getting kills on your own, and doing market business at your alliance’s stations or citadels might be easier to achieve or give better rewards than doing it at NPC stations. 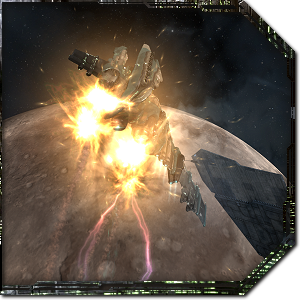 The devs could even incentivise killing NPCs in lowsec or scanning down wormholes, and give out consolation prizes for getting your first billion ISK’s worth of ships blown up or being podded for the first time. Life Goals could be an interesting way to give players natural goals to work toward and make them feel invested in their characters at an early stage. They could be seamlessly introduced on creating a new character just like the opportunities system, and rewarding players with skillpoints makes the goals attractive enough for players to chase. They might even help with the downtime between finding content, as we could have goals for scanning down wormholes, fleet warps, or even stargate jumps so that even a wasted evening is still progress toward something. While skillpoint trading helps mostly established players, this system would provide newbies with a way to actively seek skillpoints and set goals without leading them by the hand. We all play EVE by setting goals and working toward them, so why not gamify the most common goals players set for themselves? I’ll open by saying that I disagree with the principle of this article, vehemently. Trying to shoehorn themepark features into Eve’s sand isn’t the way to gain and keep new players. It would actually be rather dishonest – Eve is not a game that’s about finishing to-do lists or be handheld through premade content. It’s a game about spaceships, explosions, and the closest thing to a virtual universe that there is to be found in MMOs at the current time. It is also not a game for everyone. Eve is about making your own fun, and it’s better for players to realize that it may not be the game for them sooner rather than later. Like many, it took me multiple attempts before Eve finally ‘clicked’ for me. It really does require a different mindset than themepark MMOs to enjoy, and it does no one any favors by trying to pretend otherwise through forced, superficial progression mechanics. Having a list of achivements that a new player can look at can give them an idea about what there is to do in the game without necessarily having to have spent months of playtime before ‘discovering’ there’s such a thing as COSMOS or Wormholes. As a kind of brief roadmap of activities to participate in, as opposed to a list of skills to train to use a thing, it’s a helpful pointer to modern gamers who are more used to much faster and shorter game experiences. Whether there is still any kind of apetite for long-term game committment any more is somewhat up for debate, as people seem to want to hop from game to game and burn through the content a faster than ever before. kgptzac Nyphur Fenryr Ironwu That’s true, I should probably rephrase my opening statement from “there’s actually no consequences for negative behaviour” to “it’s impossible to make any consequences for negative behaviour stick.” Players can always evade retribution via one mechanism or another in EVE, from using disposable alt characters to do their dirty work to buying a new character. People have even pretended a character has been sold on by posting a fake sale for it and “buying” it with an alt, giving them a way to explain a shady corp history. of the biggest alliances actively encourage their members to scam and grief. LordSolarMacharius Ironwu Not being the devil’s advocate here but I think CCP knows what Concord’s role and function better than you do. First and foremost, it’s not an in-game mechanism that shields players from sociopaths which you described. Secondly, trying and succeed escaping Concord is considered an exploit last time I checked. Although I agree that CCP not doing more to protect highsec carebears is a political decision… to appeal to nullsec subscriptions, not to actual sociopaths. The nullsec people want new players to get out high sec and be their fodder in battle, and any change that CCP does to make highsec safer will have negative response from the most vocal players. Nyphur Fenryr Ironwu I think it’s because now there are a lot more corporations, including pirate corps (which of course they will let you in for being a pirate). Larger corps tend to do background checks and weed out those who would hurt the corp and its members, ie, corp thief, spy, griefers. There may be less percentage of corps out there that care about their reputation, but I’m pretty sure they exist and your beginning statement is false. 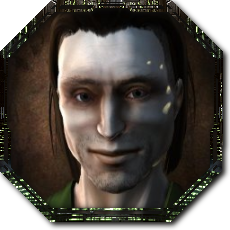 LordSolarMacharius Nyphur Armsbend Ironwu To be logical, it’s likely that the person who got ganked will attempt to convo and speak abusive stuff than the other way around. Oleg Chebeneev Thats what faction war is. Log in, kill some enemies, log out. What youre talking about is PVE content, and this isnt a PVE game. Ironwu Its only the issue for people who shouldnt be playing EVE anyway. Theres plenty of safespace elsewhere for people who cant handle it. If CCP created a personal storyline or even a linear campaign for new players, they would have a much easier time settling into the universe. Even outside of EVE, most MMO’s I have played start with me soloing the campaign or adventure before I fall into the larger endgame. By the time I get to that point, I have a pretty good grasp of the world and game mechanics all while feeling I accomplished something great by finishing the campaign. EVE has always been one of those games where new players get thrown in the deep end with nothing but a pool noodle, but I really feel it doesn’t have to be that way. I suppose what I’m saying is that there’s not really anything wrong with putting a themepark in the sandbox just as long as those in the themepark know that they are just living on a sandcastle.